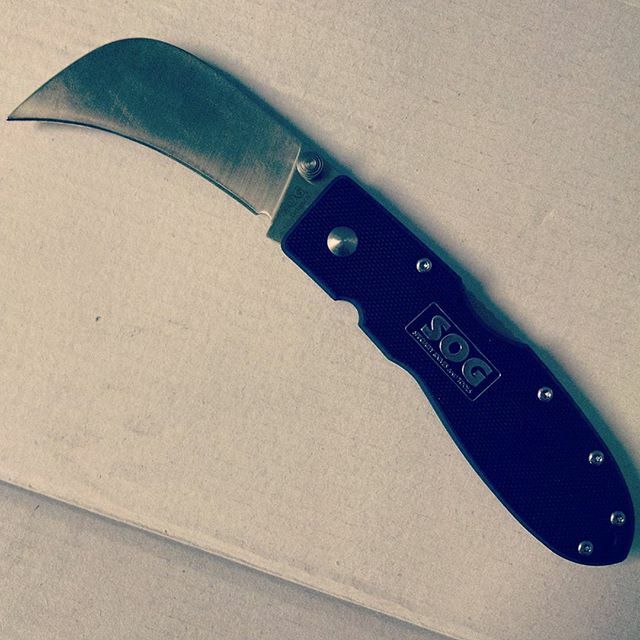 SOG knows how important it is to have a knife you can depend on when you are n the middle of a job. That is the driving force behind their Contractor series of knives. The SOG Contractor IV EL-40 features a hawk bill blade constructed of 6CR12MoV stainless steel. This blade design is ideal for cutting rope because there is less slipping along the blade. Cutting carpet and working in tight corners will be a breeze with this blade. 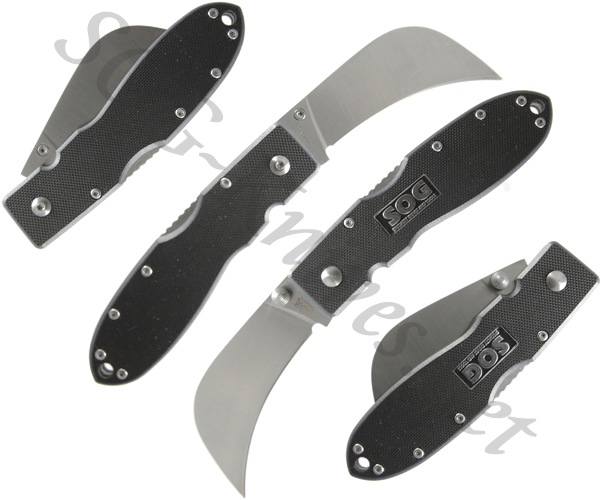 It is opened with dual thumbstuds, and the blade is secured in position with a lockback. The handle is durable G10 and includes a lanyard hole for expanded carrying options. Own a SOG Contractor IV Knife EL-40 EL40-CP? Tell us how you like it! Got a question? Ask! Somebody will answer!